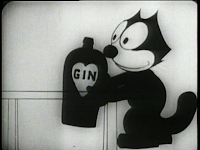 Today's installment of PD Warehouse features none other than Felix the Cat. 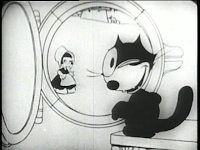 In "Two Lip Time", Felix chases a mouse aboard a ship. He loses the mouse but gains a nice case of seasickness, resulting in some vomiting out of a porthole. The ship docks and a dutch girl catches the eye of frisky Felix. He commences wooing her, which seems to be working (oddly enough, seeing as how he is a cat), until it is discovered that the girl has a jealous boyfriend. Felix dismisses the rival quickly by using a tire pump to inflate the pants of the boy, sending him sailing off with the wind. 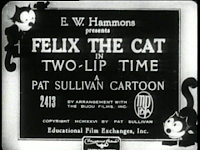 Felix's singing draws the attention of a man, who flings his clog at the cat, sending our hero out to sea. Of course, Felix conveniantly plucks the exclamation point from above his head to use as an oar for rowing the clog back to shore. Hunger sets in and Felix tires to get some milk from one of the locals, who will only part with the milk if Felix waters his flowers for him. Felix accidentally dumps gin into the watering can, resulting in drunken flowers and trees. 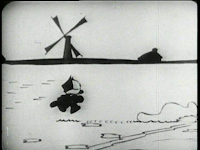 The dutchman gives chase to Felix, but he is also dismissed by the cat, who uses his tail as a crank on a windmill, blowing his adversary away. 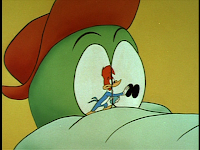 As with all cartoon characters form the golden age, Woody's later films do not have the power to diminish the greatness of the earlier films. 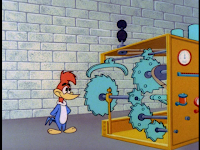 The evolution of the woodpecker is a fun one to watch and his character is never easy to pin down within any certain category. This is not the end for our hero either. 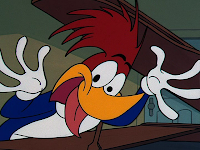 Woody was resurrected in a recent television series, is still sometimes used as a sort-of mascot for Universal, and his films have now been released on dvd for new viewers to discover. 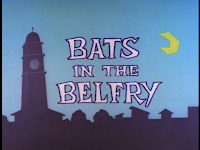 This last fact is probably the most important to me: Those of us who grew up with and enjoyed these cartoons need to pass them down to the next generation, or else they will slip away into obscurity, where they already dangle precariously. Enough of my ramblings though....what's next? 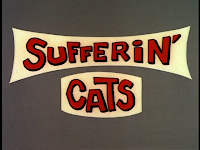 Well, it's going to be a "Tom and Jerry-a-thon" here at the Factory! Sure, we all know the cat and mouse team from MGM, but there is also a pair with the same names, from the Van Beuren studio, that pre-date the famous duo. 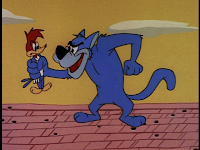 So stay tooned for a look at VB's Tom and Jerry followed by MGM's Tom and Jerry. But before we get into all of that, it's time to dig around in the PD Warehouse for tomorrow's installment. We reach the end of Woody's journey in 1972. 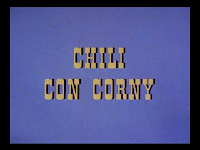 In "Chili Con Corny", Woody is travelling through a barren wasteland in his car and comes upon Ms. Meanie's Cafe. The only item on the menu is the chili, which scalds Woody's mouth, sending him fleeing outside in search of water. 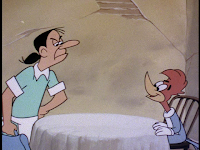 Ms. Meanie accuses Woody of trying to leave without paying the bill and forces him at gunpoint to wash dishes for her to work off his debt. 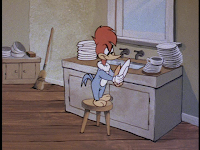 Woody doesn't come out on top here, for as often as he nearly escapes, the end result is the woodpecker washing dishes with Meanie's gun at his back. Not much more to say here. 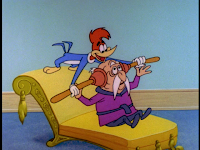 Obviously the quality of Woody's films had greatly decreased by this point (argueably before this point), and it was time for our hero to join the group of great cartoon characters from the golden age of animation in retirement. Woody is a stowaway aboard a ship. As he tries to score a meal, he blows his cover. 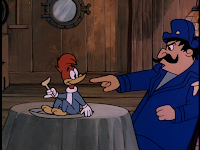 After a chase around the ship, Woody is caught and forced to walk the plank. 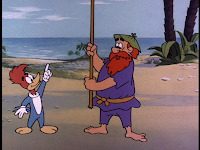 He swims to a nearby island and finds a castaway, who is tired of eating nothing but coconuts. A woodpecker meal begins to sound appealing. The castaway gets more coconuts, however this time they are dropped on his head, courtesy of Woody. 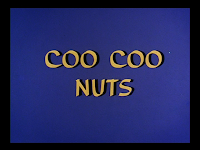 Woody is lured into a trap by a false entrance to a burlesque show. 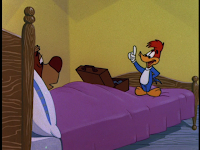 As the castaway reaches into the sack to pluck Woody's feathers, our hero hands off the innards of a pillow instead. Woody talks his way out of being killed by offering the castaway a chicken dinner, which of course is nothing more than a coconut made to look like a chicken. 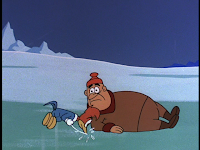 Woody could appear anywhere, such as in this Chilly Willy cartoon, "Chilly Chums". A game hunter who is after the penguin has just ingested laughing gas and begins to incontrollably laugh. 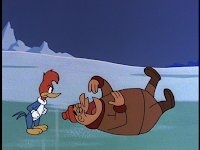 The problem is that his laugh is just a bit to familiar to Woody, who appears and punishes him by pecking away the ice beneath him, sending him into the water. 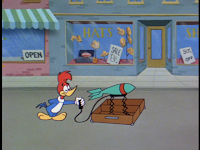 In a Halloween episode of the Woody Woodpecker Show, Walter Lantz tries to get Woody to blow up balloons for the party, but our hero has nothing but trouble. 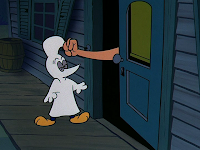 Lantz sends Woody off in a ghost costume and we transition into the new cartoon "Spook-a-Nanny". Woody gets more tricks than treats at the party, at the hands (erm...paws...and flippers) of the entire Lantz cast, Chilly Willy, Smedley, Andy Panda, Buzz Buzzard, etc. Woody meets up with some real ghosts (who just so happen to enjoy playing the woodpecker's theme song) and the spooks crash the party. 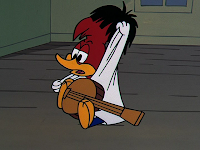 When the time comes for the cartoon's title song to be played, Woody takes to the piano for a tune that will stick in your head (even if you don't want it to). 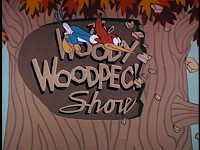 The Woody Woodpecker Show combined the classic cartoons with live segments with Walter Lantz, in which he would give drawing advice or tell the history behind his films and characters. 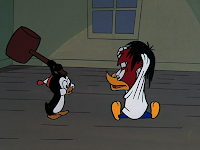 Chilly Willy's canine adversary, Smedley, appeared in a few cartoons with Woody, but I think it's safe to say that the combination was never as effective as when the dog and the penguin were paired together. 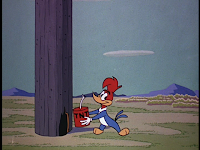 Woody takes up residence in a telephone pole and it's up to troubleshooter Smedley to evict him. 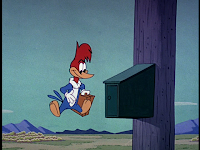 Woody dupes Smedley into delivering room service to him. 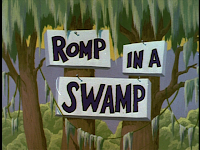 Throughout the film, Smedley breaks the fourth wall and addresses the audience in his southern drawl. It's one of the traits of the dog that makes him funny, but it really doesn't do much this time. 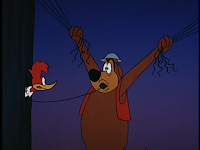 Eventually Smedley is trapped in the telephone lines and Woody uses the electricity flowing through the dog to light his home within the pole. 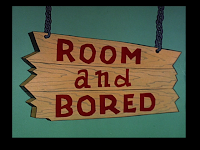 As I said when I began, I am missing cartoons of Woody's for the remainder of the 60's but I am sure I can do some padding from here on in. Stay tooned! 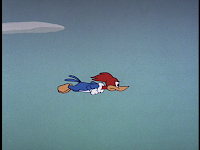 Woody Woodpecker is destroying the roof of a house, and the homeowner hires The Blue Streak, the world's fastest cat, to stop him. 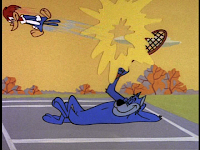 Woody's disbelief in the cat's claim is quickly squashed when the Blue Streak proves his speed by playing a one-man game of badminton, with Woody as the "birdie". 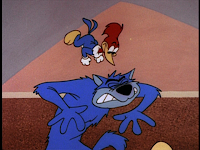 Woody slips the cat some tranquilizers in order to slow down the high-speed feline. The cat is reduced to less than a snail's pace, leaving Woody the opportunity to resume pecking holes in the roof. 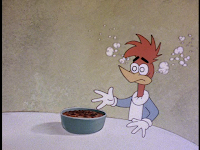 The Blue Streak discovers that he can reverse the effects of the pills if he receives a blow to the head. 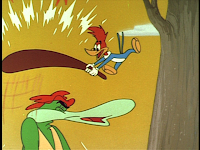 Woody whacks the cat with a mallet, inadvertantly restoring the cat's super-speed. 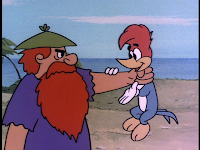 Once the cat catches Woody and goes to claim his reward, the woodpecker turns the tables once more, and the only reward the cat gets are some pecks to the head, compliments of Woody. A doctor has just diagnosed a colonel with a bizarre illness. It seems the colonel is allergic to noise and is sent into a jittery fit whenever noise is present. 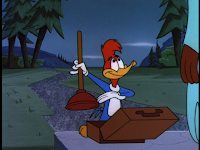 The butler has the task of keeping everything quiet for the colonel, which wouldn't be too hard if it were not for Woody Woodpecker. 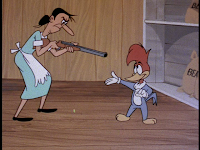 After his tree-pecking is silenced by the butler, Woody sets out for revenge. 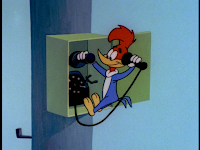 A telephone call delivers some long-distance pecking from Woody and a nearby bell tower is a prime location to make some noise. 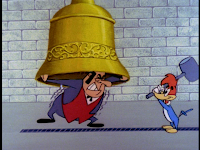 Woody continuously moves the hands on the clock forward so that the bell will chime, while the butler places himself at risk for many beatings as he tries to stop the bell from ringing. By the end of the film, the colonel seems to be recovering (momentarily), but the butler and the doctor (and even Woody) are now afflicted with the same allergy as the colonel. Even the "The End" card nervously shakes just like the characters. 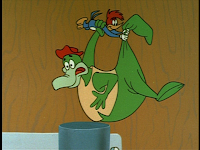 A new adversary for Woody was created in the form of Ali Gator (who would later be renamed Gabby Gator). The aligator fancies a woodpecker dinner but of course, the tables are turned every step of the way. 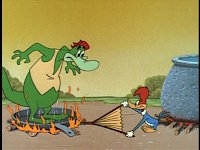 It's rather easy for Woody to dupe the gator into a pain-filled round of "follow the leader", which results in Ali being dropped from a cliff and bashed on the head with a mallet. In a bizarre turn of events, Ali is frequently threatened by another aligator, which tries to eat him. At one point, Ali actually does eat Woody, but the woodpecker uses the opportunity to polish the gator's eyeballs (and happens to break one of them in the process). Ali ends up in his own pressure cooker instead of Woody and is blasted up into outer space. 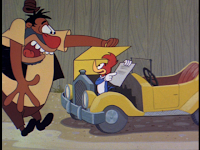 Note: Early in the film, Ali reads from a tag around Woody's neck, "In case of accident, notify Walter Lantz". Woody sells insurance this time around and he has to convince Dan Dooley, his old nemesis, just how dangerous the cartoon world can be. 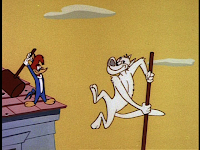 The policy that Woody is pushing would cover Dooley from mishaps such as having a safe fall on his head, lightning strikes, dog bites and pile driver accidents. 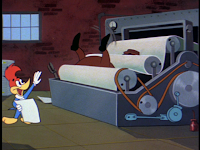 It even protects against being thrown into a printing press, which Woody demonstrates by pushing Dooley directly into one. Dan finally breaks down and signs the policy, only to find that it does not protect against guided missle attacks...which Woody just happens to have. 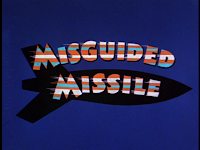 Dooley tries desperately to escape the missle but finally gets blown up by it, landing him in the hospital. The ticking of a toaster sounds just like the ticking of a missle, so Dooley leaps out of the window to escape. 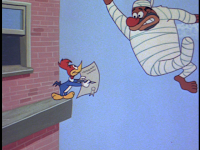 On his way down, he signs Woody's new policy...only to find out it will not cover any injuries incured from jumping out of a window. Woody tells his neice and nephew, Splinter and Knothead, how he aquired his bearskin rug. Woody is a door-to-door salesman, who pushs ordinary gadgets while trying to make them sound much more important than they really are. 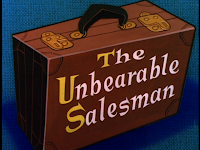 His next customer is a bear who is trying to hibernate for the winter. 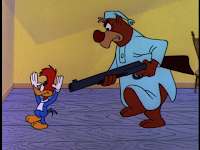 The bear cannot get rid of the pesky woodpecker and quickly resorts to violence to free himself from Woody. Woody gives the bear a "Do Not Disturb" sign, but when the bear goes outside to hang it on his door, Woody locks him out. When the bear bangs on the door to be let back in, Woody admonishes him for breaking the instructions of the sign. The bear locks Woody in a safe and dumps him in the river, but of course that never works in cartoons. 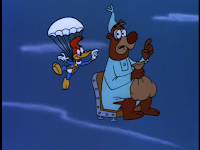 By plane and by train, the bear fails to kill Woody. Eventually, one of his own death traps backfires on him. The bearskin rug on Woody's floor is very much alive, but at least it can finally get some rest.